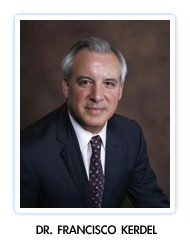 He is Â current Director of Dermatology Inpatients at the University of Miami Hospital,Dr. Kerdel is the current Treasurer-General of the International Society of Dermatology and the Foundation for International Dermatologic Education.. He is affiliated with University of Miami Hospital and University of Miami-Jackson Memorial Medical Center. He completed his dermatology residency at Harvard Medical School, Boston, MA, where he was chief resident during the year 1983-1984. He completed Fellowships at Guys Hospital, London, UK and New York University School of Medicine, NY.